The boom of renewable energy. And after the expansion of combined cycle plants, came the outburst of renewable energy parks, which grew at times uncontrolled by juicy hefty incentives. The problem was not the proliferation of windmills and solar panels, of which we should be proud of, but its high cost. Renewable and cogeneration eventually totalled 9,000 million a year in governmental aids, apart from the money they receive by selling electricity to the market. The first government of Zapatero gave a big boost to the flourishing renewable energies via a decree in 2007 that set a very attractive remuneration for green energy. They were probably necessary to boost it from scratch this sector in Spain, but subsequently proved unpayable not only because of the crisis, but also for failing during a time not to control the construction of new installations that were booming all over Spain. And it was the second government of Zapatero, with Miguel Sebastian at the Ministry of Industry, which applied already in 2009 the first cuts to aid and put a stop to uncontrolled growth. Spain became a real power in renewable. The energy generated from wind power went from 3,400 megawatts in 2001 to almost 22,800 in 2013. 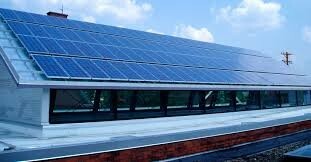 The solar thermal reached in 2012 about 2,800 megawatts. Solar panels was the one that lived a real boom, which involved both large companies and tens of thousands of small investors who saw an opportunity to spend their savings onto a safe and guaranteed return by the state, and allowed to exceed 3,000 megawatts just in a year and reach 5,000 megawatts in 2012, ten times more than planned. The absence of political control made photovoltaic to overflow and pass to be a permanent cost during decades of 2.700 million per year, ten times more than expected. This was the only renewable technology that broke the planned objectives, the result of a state temporary insanity that provided fantastic yields. The investment established returns of 9% for 25 years and preferential financing for up to 80% of the investment. All guaranteed by the government.